Inclesmoor . ca.1407 Estate map to settle a lawsuit over peat-cutting rights. South at top. Rivers are Trent and Don. Yorke. 1617 Braun & Hogenberg. Richmondshire. 1673 Richard Blome (detail from map above) Robert Ross & Co.
Leeds, Sheffield, Pontefract. 1695 Robert Morden. details from Morden's East Riding of Yorkshire. The East Riding of Yorkshire 1764 Thomas Kitchin (98kb) Robert Ross & Co.
North Riding of Yorkshire 1765 Robert Sayer. engr. John Ellis in New English Atlas . The Road from... York to Berwick. ca.1765 Gentleman's Magazine. The Road from... Tuxford to York. ca.1765 Gentleman's Magazine. The Road from... York to Chester le Street. ca.1765 Gentleman's Magazine. The Road from Boroughbridge to Penrith. 1782 Bowles Post Chaise Companion. Manchester, 1795 (map dated 1794). Yorkshire. 1793 John Cary Robert Ross & Co.
North Riding of Yorkshire. 1793 John Cary in his New and Correct English Atlas Robert Ross & Co.
West Riding of Yorkshire- North Part. 1793 John Cary in his New and Correct English Atlas Robert Ross & Co.
West Riding of Yorkshire- South Part . 1793 John Cary in his New and Correct English Atlas Robert Ross & Co.
Yorkshire. 1824 Benjamin Pitts Capper in A Topographical Dictionary of the United Kingdom, (1808) , 3rd edn. published by G. & W. B. Whittaker, . Robert Ross & Co.
Thirsk. 1835 Robert Creighton, engr. J. & C. Walker for Lewis's Topographical Dictionary. Richmond. 1835 Robert Creighton, engr. J. & C. Walker for Lewis's Topographical Dictionary. Yorkshire - East Riding. 1836 W. Schmollinger. for Thomas Moule's T he English Counties Delineated; or, A Topographical Description of England. Yorkshire - parts of the East & West Ridings. 1842 Joshua Archer for for Thomas Dugdales England and Wales Delineated. Beverley, Kingston-upon-Hull , street plans. ca.1843 Robert Creighton, engr. J.& C. Walker for Lewis' Topographical Dictionary. Leeds area. 1848 A. Fullerton. 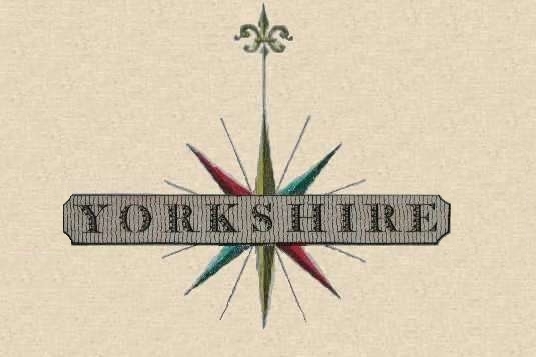 (detail from Yorkshire in A New and Comprehensive Gazetteer of England and Wales . . .by James Bell. Beeston & Leeds 1850 Newsam & Son, Leeds. Alverthorpe and Stanley 1851 Ordnance Survey Ist edn. Leeds-town plan and detail. ca.1860 J Bartholomew for R. Fullarton. East Yorkshire . ca.1870 W.Hughes, in The National Gazetteer Virtue & co.
Yorkshire (East Riding) 1885 Report of the Boundary Commissioners for England and Wales. Leeds. (Eastern Section) 1885 Report of the Boundary Commissioners for England and Wales. Leeds. (Western Section) 1885 Report of the Boundary Commissioners for England and Wales.